IndieWire spoke with the director of "Long Shot" about how he convinced the "Curb Your Enthusiasm" anti-hero to appear in the true-crime documentary. NYU film grad Jacob LaMendola visited the “Curb Your Enthusiasm” trivia page on IMDB on a lazy day in 2012, expecting to find frivolities like how many f-bombs Susie Essman dropped in her angriest episode. Instead, the top entry explained that outtakes from “The Carpool Lane” — the season-four installment in which creator and star Larry David evaded traffic by inviting a prostitute to a Dodger game — exonerated a murder suspect. Telling that story became “Long Shot,” which is now streaming on Netflix. It took LaMendola five years to make the 40-minute documentary: “I knew that it was worth taking the time to tell it correctly,” he said. This was the backstory: The victim, 16-year-old Martha Puebla, was shot and killed on her Los Angeles doorstep in May 2003. 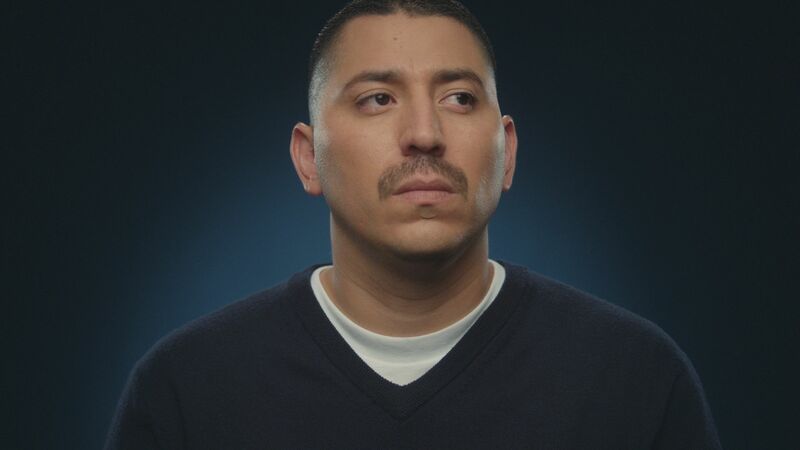 Three months later, police arrested Juan Catalan, a machinist who resembed a sketch artist’s composite. They believed he had a motive: Days before her death, Puebla testified in a murder case in which Catalan’s brother was a co-defendant, with Catalan looking on. But Catalan pled innocence; that night, he said, he was at a Dodger game with his daughter and some friends. Catalan’s ticket stubs and witness testimonies did not sway deputy district attorney Beth Silverman, nicknamed “Sniper” for her ability to secure death-row convictions. His lawyer, Todd Melnik, culled the stadium’s security footage of that night’s 27,458 attendees, but none of the shots with Catalan were clear enough. However, Catalan remembered spotting a television camera crew at the game. Melnik learned that the cameras belonged to HBO, consulted their timecoded takes, and was astonished to see Catalan and his daughter returning from a snack run to their row, mere feet from where David stood. Cellphone tower data also placed Catalan near the stadium. After six months in jail, Catalan was freed and later awarded a $320,000 settlement for police misconduct; four other men were found guilty of Puebla’s murder. LaMendola, who previously directed several shorts, was fascinated by the tricky case — but it also proved to be a tricky story to tell. With the support of his partners at New York production company Hayden 5, he began by flying to California to record five days of interviews with Melnik. The next year, LaMendola filmed side-by-side interviews with Melnik and Catalan, who have become best friends since their days as attorney and client. However, the most coveted interview was with David — and it proved nearly impossible to get. “We hounded him for over a year, just trying to get him to answer our calls,” said LaMendola. Finally, David’s secretary relented. This gave LaMendola had five minutes to convince the press-averse “Seinfeld” co-creator to speak with him on camera. Netflix screened “Long Shot” at the 2017 Telluride Film Festival — the same rollout that helped earn the streaming platform its first Academy Award this year, for the documentary short “The White Helmets.” And today, Catalan is a new college student, who continues to work in his family’s machine shop while raising three children. 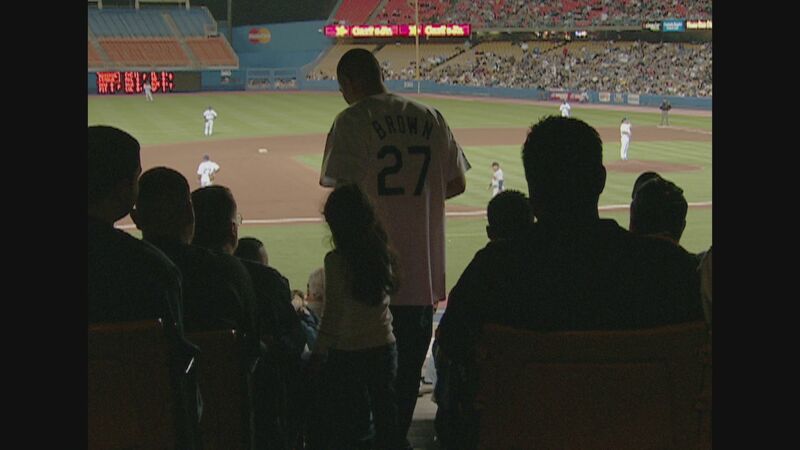 Since his false arrest, he has been to countless more Dodger games. “Long Shot,” now streaming on Netflix, will also screen this weekend at the Hamptons International Film Festival.